Prof. Mukesh Rao is an Adjunct Faculty at Great Lakes for Big Data and Machine Learning. Mukesh has over 20 years of industry experience in Market Research, Project Management, and Data Science. 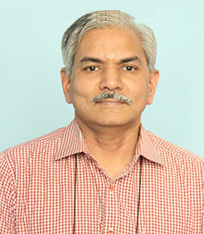 Mukesh has conducted over 100 corporate trainings. Data Science training covers all the stages of CRISP DM, tools and techniques used in each stage, machine learning algorithms and their application. Big Data training covers core Apache Hadoop technologies including HDFS, YARN, Map Reduce, PIG, HIVE, SQOOP, FLUME, SPARK and MongoDB.